London Broncos will be looking to erase memories of their fifth round Challenge Cup defeat to Halifax as they return to Betfred Super League action at home to Catalans Dragons. Head coach Danny Ward has made several changes for Thursday's clash but Jacob Ogden retains his place in the squad to face the French outfit. The Broncos recall winger Rhys Williams after resting him for the cup tie at Halifax while forwards Luke Yates, Rob Butler and Dan Hindmarsh also return as Ward's men look to end a four-match losing run. Last six league matches: London Broncos WLWLLL Catalans Dragons LWWLWL. 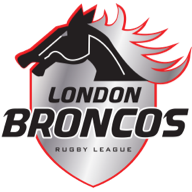 Top try scorers: Rhys Williams (London Broncos) 5; Fouad Yaha (Catalans Dragons) 6. Top goal scorers: Kieran Dixon (London Broncos) 22; Sam Tomkins (Catalans Dragons) 26. London 19-man squad: Jordan Abdull, Sadiq Adebiyi, Eddie Battye, Robert Butler, James Cunningham, Matt Fleming, Matt Gee, Dan Hindmarsh, Mark Ioane, Elliot Kear, Ryan Morgan, Jacob Ogden, Eloi Pelissier, Jay Pitts, Greg Richards, Morgan Smith, Alex Walker, Rhys Williams, Luke Yates. @LondonBroncosRL Head Coach Danny Ward has named his 19 man squad to face @DragonsOfficiel on Thursday 18th April Kick Off 7.45pm. 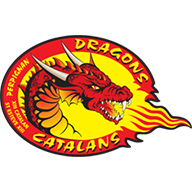 Catalans 19-man squad: Tony Gigot, Lewis Tierney, Samisoni Langi, Matty Smith, Remi Casty, Sam Moa, Kenny Edwards, Greg Bird, Julian Bousquet, Benjamin Jullien, Matt Whitley, Alrix Da Costa, Mickael Goudemand, Lambert Belmas, Lucas Albert, Jason Baitieri, Arthur Romano, Sam Kasiano, Sam Tomkins.